Rolls-Royce Ltd was a car and airplane engine manufacturing company founded in 1906 by Charles Stewart Rolls and Frederick Henry Royce. Rolls-Royce Ltd was a car and airplane engine manufacturing company founded in 1906 by Charles Stewart Rolls and Frederick Henry Royce. The same year, the company introduced its first car, the Silver Ghost. The car ran non-stop for a record-breaking 24,000 km. The company was nationalized by the UK government in 1971. 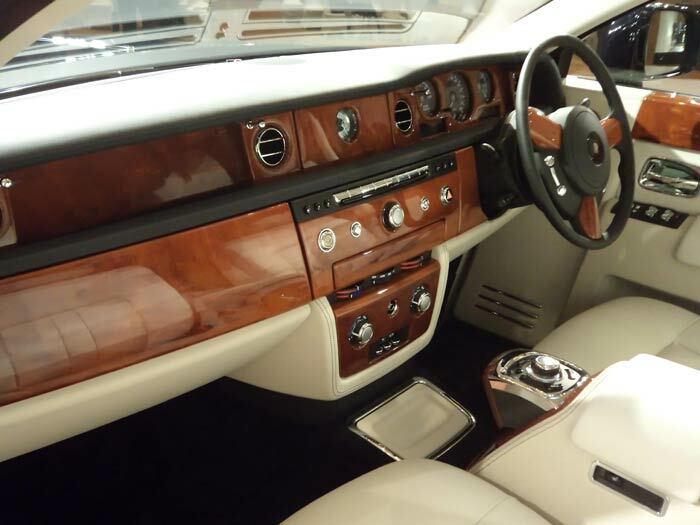 Two years later, the car division separated as Rolls-Royce Motors. 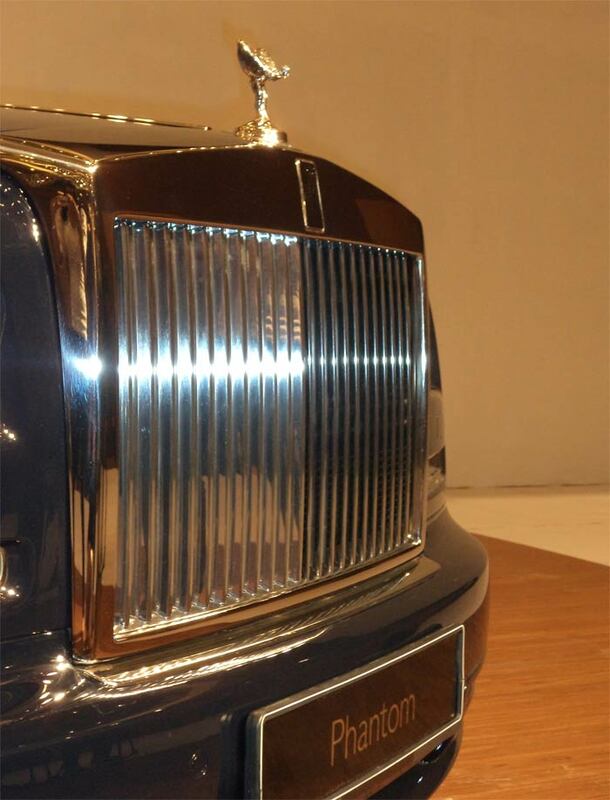 Rolls-Royce Ltd continued as a nationalized company before being privatized in 1987 as Rolls Royce Plc. 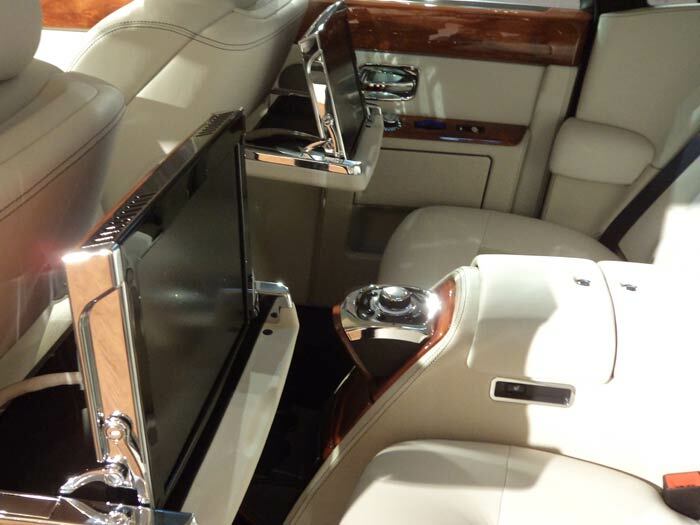 Approximately 65 per cent of all Rolls-Royce cars ever built are still on the road today. Rolls-Royce Motors was acquired by the British conglomerate Vickers in 1980 and then purchased by BMW in 1998, even though BMW's final offer was beaten by Volkswagen. 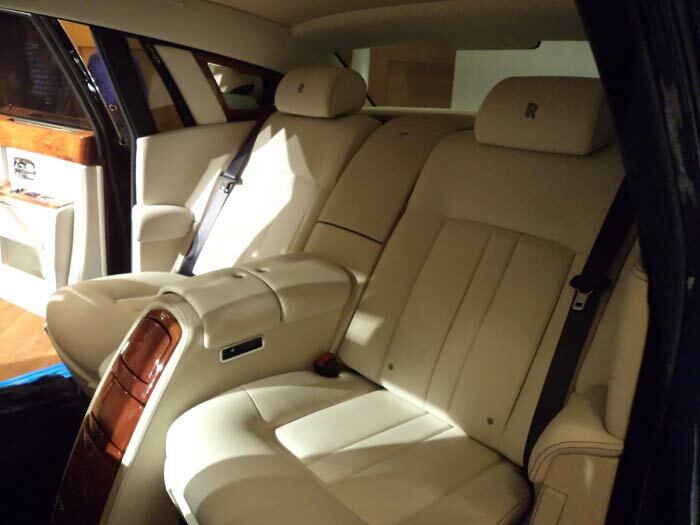 Rolls-Royce chose BMW because the companies already had joint business ventures. 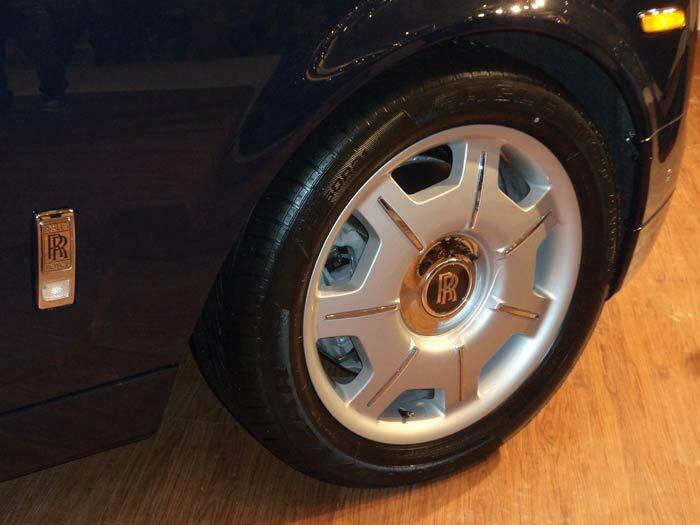 BMW then built a new, dedicated Rolls-Royce factory in Goodwood, England. The Rolls-Royce Phantom was introduced in 2003 and is the first incarnation of the new generation of Rolls-Royce cars under BMW. Customers can choose from, hold your breath, 44,000 colours. The birth of every Phantom takes place in Germany, where close to 200 aluminium sections and 300 alloy parts are welded by hand. It takes at least two months to build a Phantom. 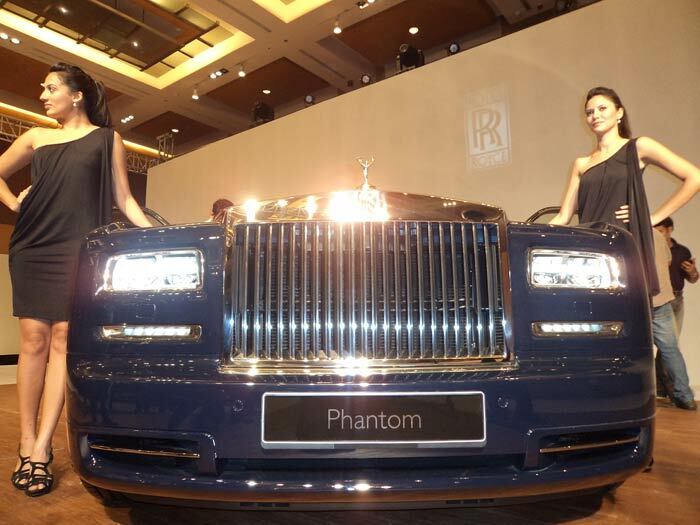 The Phantom has a V-12 engine what can push the car from 0 to 100 kmph in just 5.9 seconds. 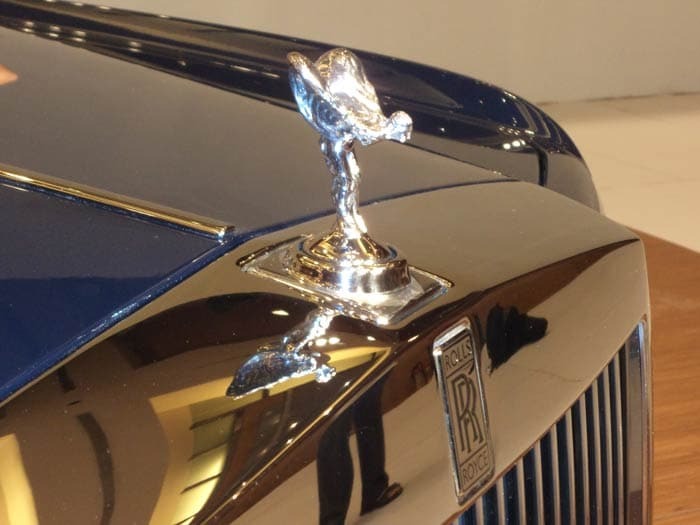 The hood ornament is called The Spirit of Ecstasy and was commissioned in 1911. Today, the Spirit of Ecstasy is mounted on a mechanism that retracts the ornament into the grille by remote control or automatically in the event of a collision. 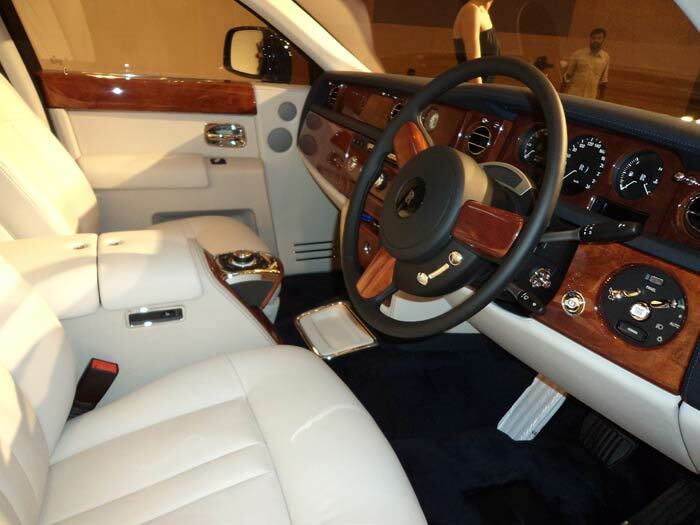 Every Phantom comes with Teflon-coated umbrellas that are built into the doors and pop out with the touch of a button. 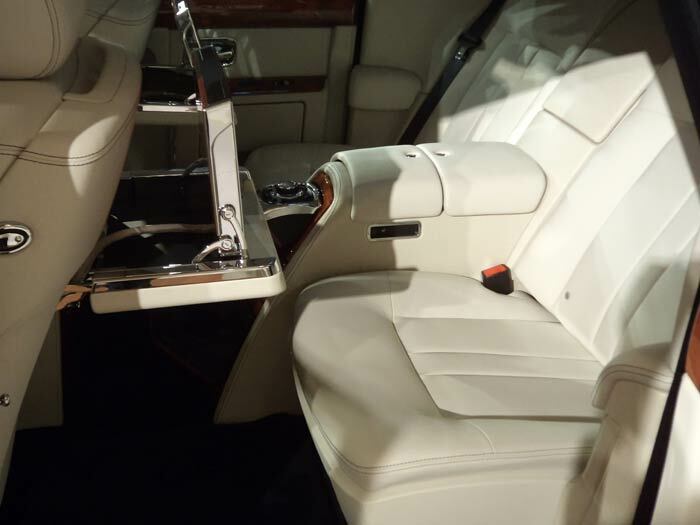 It takes around 75 square metres for the upholstery of each Phantom, and the job takes up to 17 days.